Wishing you a very rest-filled and happy holidays. See you in 2018. One thing we’re always doing is reflection. 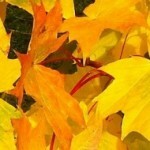 The end of year offers a chance to review our year and think about next steps. What is front and center is the work you’ve all done to support students. In whatever role you do, our students are the heart and center of everything. It is why we do what we do. There is much research on the brain’s need for downtime to solidify pathways, to reorganize itself, to encourage creativity. While the brain is never idle, in this fast-paced society it is important to shift gears. What better time than summer? What are you going to do to care for yourself? It’s time to play in the sandbox, out of the sandbox, travel the world or maybe be a tourist in your own city. 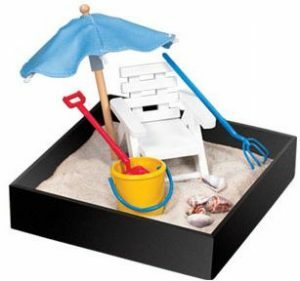 Whatever your summer sandbox looks like, have fun. There are a number of assistive-type softwares that may help students with access to learning in the classroom. The following focuses on writing, reading, and vision supports. Most are free and can be easily downloaded by the student. EASE of ACCESS: This group of tools offers simple word prediction through the on-screen keyboard, magnifier (for vision support)… Click here for instructions. Note the different ways to gain access whether you are a teacher or student. SpeakIt: Google Chrome extension that provides text-to-speech for most web content. 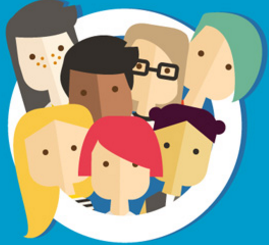 Has a range of voices and languages to choose. Options are available to adjust the speaking rate and pitch of voice. This is a good one! ClaroSpeak: Google Chrome extension is a simple text-to-speech reader with word prediction, editing, proofing and speaking dictionary. There is also a more powerful paid app for ipads that includes access to pdf. Rewordify: This is a site that I’ve written about before and is well worth repeating. (Click here for previous post) Any text can be pasted into the box and it will return a simplified version – very quickly I might add. One of the options deserves highlighting. Retaining the original word within the text, while offering a simpler form provides two things: increase of comprehension and increase of vocabulary. Sitting side by side, relationships between the difficult term and easier one is visually connected. As well, the integrated dictionary allows access to almost all of the words in the selection. Finally, the content can be printed and stored. Word Talk on MSWord: Text-to-Speech toolbar is part of computer images (click on the tab, ADD-INS). This toolbar provides reading support as well as a simple word prediction dictionary. Kurzweil 3000: This software is the cadillac of assistive softwares. It will read almost any digital information (print, electronic, pdf or the Web) in clear, synthetic speech, while a dual highlighting feature adds visual reinforcement. This provides a digital means of engaging with text and supports those students who require alternative methods for accessing, writing and recording information. Click here for more information. iWordQ-CA ($29): This is an ipad app that mimics a simple version of what you would expect from the more robust Kurzweil 3000. In writing mode, text editor includes word prediction, spell checker, dictionary and speech recognition. In reading mode, text-to-speech offers proofing and reading options. Add language keyboards to Win7 devices – access other languages through added keyboards. Click here for instructions. Do you have any favourites that integrate with reading or writing? Drop a comment in the box below. I’d love to add to the list. February 1st is the 32nd day of the year in the Gregorian calendar, the day before Groundhog Day, the day (1920) of the newly established Royal Canadian Mounted Police. But more importantly, it is the official launch of our Digital Citizenship Initiative (K-7). While some may hone in on the word, “digital” implying that it is related to computer lab activities or technology classes, we suggest it is plain “Citizenship”. And everyone is responsible for learning and modeling citizenship (both in-person and online). At the heart of this, resides the core values and beliefs that we all hold. This in turn, drive our behaviours and actions. Citizenship is fully integrated in the new curriculum. It is embedded in the Core Competencies of Personal and Social competency. As well you will find targeted Curricular Competencies in every curriculum including the latest draft Applied Design, Skills and Technologies. Lesson launches are provided as starting points for teachers and students. As well, there is a FOR PARENTS area to explore at home with family. Keeping open communication is key to understanding how one lives and learns in all the environments we encounter. Schools have been invited to participate and share their class stories through school websites, principal newsletters, home communications, and PAC meetings. We are in this journey together. For classes, there is an added bonus – a monthly DC contest starting this month. 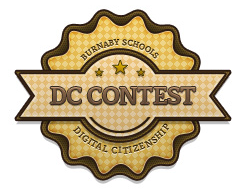 Hop on over to the Digital Citizenship Contest page or click on the DC button found on your school’s website for information. We sincerely hope you’ll join us as we learn together. We’d love to hear stories that you may wish to share. Please leave a comment below. Each session will build upon each other (from neuroscience basics, how the program fits, what it does, reading reports and implementing timely interventions). *Please email me if you have not signed up (sd41). It’s October – What’s Happening?